Can You have Two Accounts on Facebook? No, you can’t have two accounts on Facebook as the company mentioned about this situation on the terms page. You will not able to create another account and if you do the otherwise, there will be a possibility to lose both of your accounts on Facebook. We recommend you to not to do it at all if you don’t want to lose your actual account. It will be hard for you to retrieve one of your accounts which has been closed because of violation of terms. Why Two Accounts are Forbidden on Facebook? 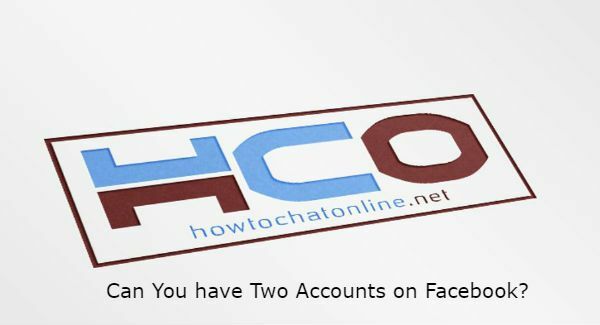 How to Create Two Accounts on Facebook? As we have mentioned above, you can’t have two accounts on Facebook and your accounts can be closed by Facebook staff because of having multiple accounts. It is against the rules of the company and the terms. However you can always use two different accounts with the same connection or same computer. Since the account owners are going to be separated. You shouldn’t use two accounts for yourself only. It has several reasons of this. There are security concerns with second accounts. When people can do crimes with an account, they can also use their other accounts normally. The other serious issue for Facebook is the network should be related with real people. If everyone had a second account on the website, that could turn Facebook to a garbage and untrustworthy service. Don’t use the same pictures with your actual account. Also not using the same phone number for your second account. Don’t make your pictures public to take attention of others. ← How Do You Hide Your Name on Facebook?